October 22, 2018. 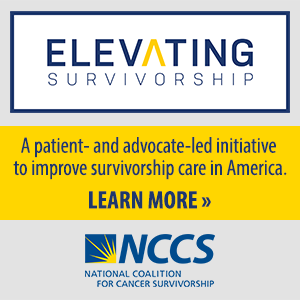 – A focus of the National Coalition for Cancer Survivorship (NCCS) since it was founded over thirty years ago continues to be empowering patients to make informed decisions, and this includes transparency about the cost of health care. The Centers for Medicare & Medicaid Services (CMS) recently proposed that list prices be included in direct-to-consumer (DTC) television advertisements of drugs that are reimbursed by Medicare and Medicaid. While we understand that CMS is taking small and concrete steps to advance its drug pricing agenda, we do not believe that the DTC proposal will achieve transparency, advance the effort to make Americans more informed health care consumers, or reduce drug prices. In fact, there is some concern that the proposal could harm patients and further complicate their decisions about care. This proposal will affect only a portion of drugs—those that are advertised in television DTC ads—and will not even clearly affect prices for those drugs and is even less likely to affect those drugs not advertised in this manner. First, the proposal to require list prices in certain DTC ads will provide cancer patients pricing information for only a portion of their care. Many drugs will not be subject to drug pricing transparency requirements because they are not advertised in DTC television ads. As a result, this proposal will not result in the provision of comprehensive information about cancer care costs to cancer patients. Cancer patients might have access to information about some of their drug costs and no information about others, as well as limited information about the cost of other elements of care. In addition, the proposal does not require that patients be provided the cost information that is most important to them, which is the information about what their treatment options will cost them in out-of-pocket spending. Neither does the proposal ensure communication about how their third-party insurance will cover their care. In short, this does not represent true transparency that is beneficial to patients and their decision-making process. Second, cancer patients face difficult decisions from the time of diagnosis and in some circumstances they must make decisions under time pressure. Incorporating list prices of drugs into their decision-making would be a challenge even if they were provided comprehensive pricing information that can be compared. The CMS proposal falls far short of that standard and may instead create confusion and concern among cancer patients. For example, NCCS believes that there is a risk that cancer patients may experience something akin to “sticker shock” if they see the prices of cancer drugs listed in DTC ads. The reaction to this sticker shock could be to forgo or delay care because of price concerns, even though the price in the DTC ad is not the cost that the patient may bear. Although CMS suggests that it might consider a new budget-neutral payment code for doctors to speak with patients on the benefits of drugs and drug alternatives, we are not persuaded that this effort—even if it is pursued by CMS—would be sufficient to ensure informed decision-making by patients. 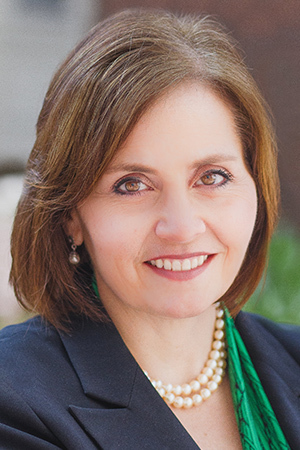 NCCS and its colleagues in the cancer community strongly advocate the establishment of a cancer care planning service that would permit consideration of treatment options, the review of treatment side-effects and long-term treatment management, and the cost of care (including prices of treatments and relevant patient cost-sharing responsibilities). The care planning service we envision is comparable to the service that is provided to patients through the Oncology Care Model demonstration project and is a more comprehensive service than is mentioned in the current proposal. Finally, the proposal to list prices in DTC ads is intended to reduce drug prices. We are not persuaded that the listing of prices in DTC ads will in fact reduce the price of drugs at time of market introduction or the possibility of price increases after market entry. This proposal will affect only a portion of drugs—those that are advertised in television DTC ads—and will not even clearly affect prices for those drugs and is even less likely to affect those drugs not advertised in this manner. Because the proposal may fail to achieve its fundamental goal and creates additional problems for patients, we cannot lend our support to it. We are also concerned that the DTC ad proposal will deflect attention from efforts that might be more effective in protecting patient access to affordable medications and in empowering patients to choose treatments on the basis of effectiveness, impact on quality of life, and cost to them and the health care system. Comprehensive, out-of-pocket cost information that patients can use to compare treatments and costs would be a much more significant step forward to achieving actual transparency than the current CMS proposal.